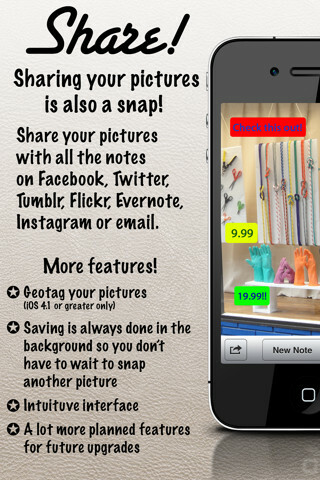 Snap is the easiest way to add notes to your photos! 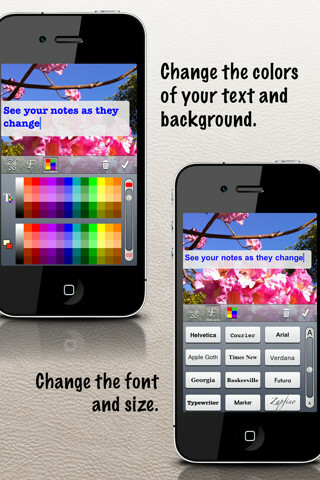 With just a touch you can add as many notes as you want and move them around with your finger! 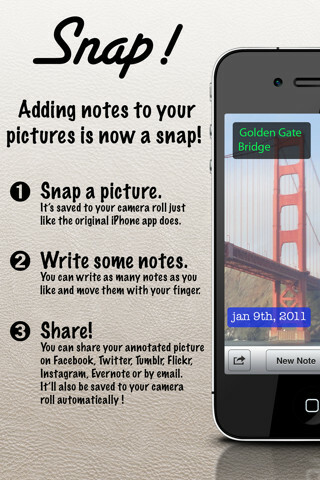 Share your annotated pictures on Facebook, Twitter, Tumblr or by email. 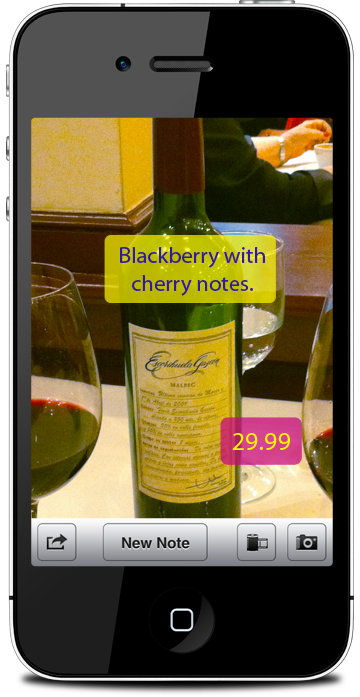 You can also print them using AirPrint. 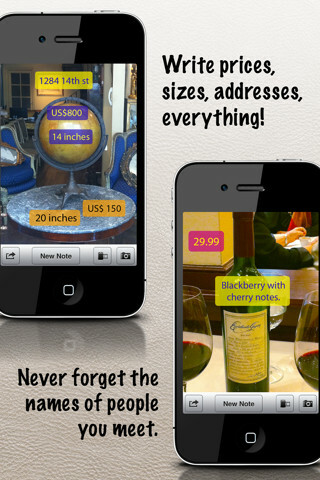 Snap is perfect for when you want to remember something about your photos: write a location, date, prices, sizes, names. 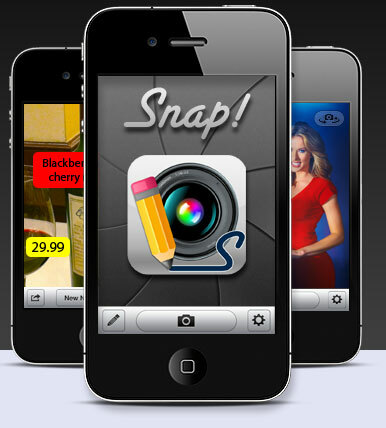 Other apps can do this but only Snap has a beautiful and intuitive interface that makes it easy and fun. 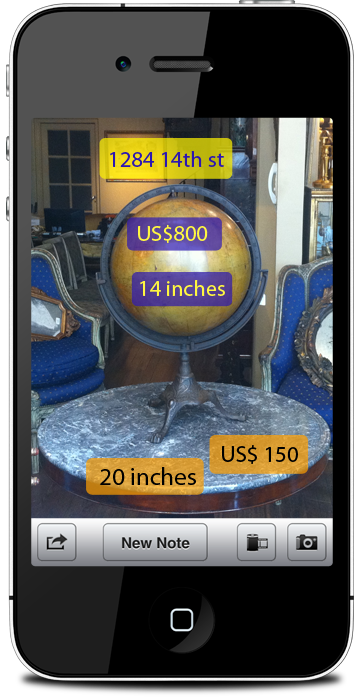 See more features here and some typical uses here. Auto save: Don't worry about saving your pictures. 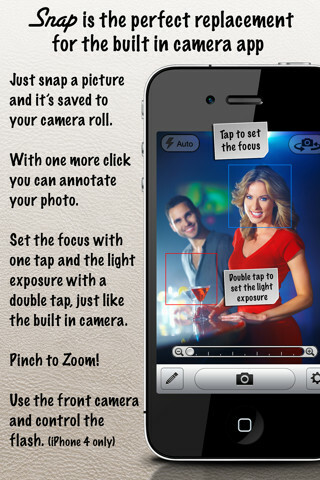 Snap saves everything in the background so you can keep snapping and taking notes. Just moved to a new house and need to remember the size of your rooms so you can shop around? Just take a picture and write down all you want. Want to have some fun? 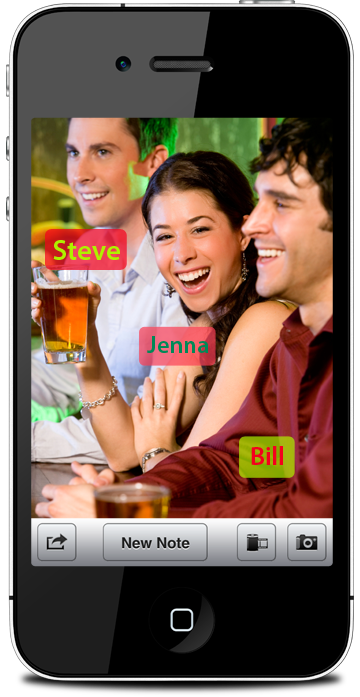 Take pictures from your friends and family and add captions, subtitles and labels. 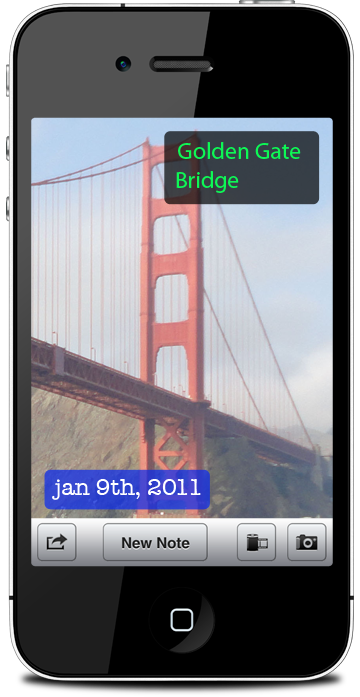 Kids love to play with Snap's intuitive interface. Copyright © 2011 CodeCrop. All rights reserved.